Even though she has the clientele every stylist wants, she faces the same challenges every stylist does. Client no-shows, double booked appointments and constant phone calls were driving her crazy. Danyel needed to make a change. Learn how she built her clientele, and how Booksy is helping to take her game to the next level. Danyel Nicole doesn’t have time to deal with no-shows. With Booksy, she doesn’t have to. How did you first get into doing hair? I started braiding when I was 3, so it was something that I was born with a talent for. The first week of cosmetology school I knew that this was exactly what I wanted to do with my life. Really being able to connect with the clients and just helping them get through their day, that’s what brings me joy in my career. 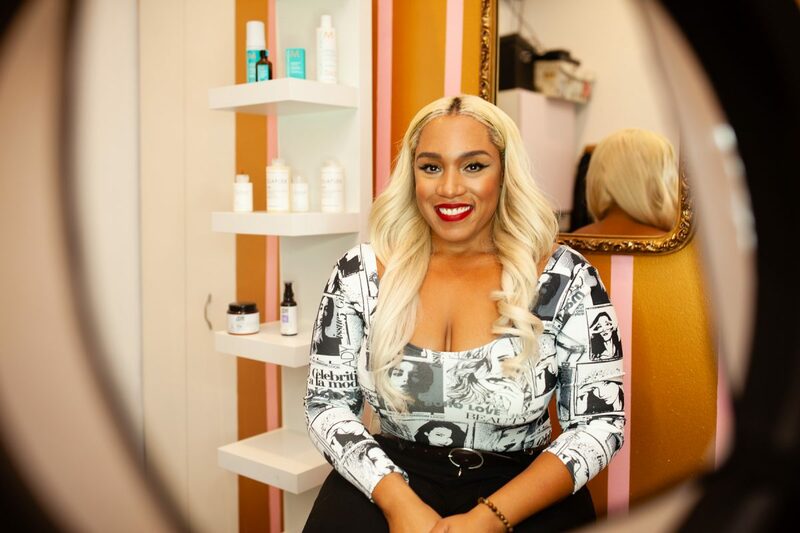 For Danyel Nicole, being a hairstylist was a calling. What kind of opportunities has this career given you in life? It’s given me a lot to be thankful for. I’ve done clients for the Grammy’s, the BET Awards, red carpet events, fashion week in New York and LA…I’ve have the opportunity to learn my craft by training under some of the most impressive and amazing artists in the business. Just the freedom this career has given me has been amazing. Your salon space is in a pretty impressive area here in Chicago. Can you tell us why you picked this location for Danyel Nicole Beauty? It’s a very affluent area right across from Gucci and catty-corner from Burberry. Because I offer high-end, exclusive services, this area of Chicago is just the right place to be. 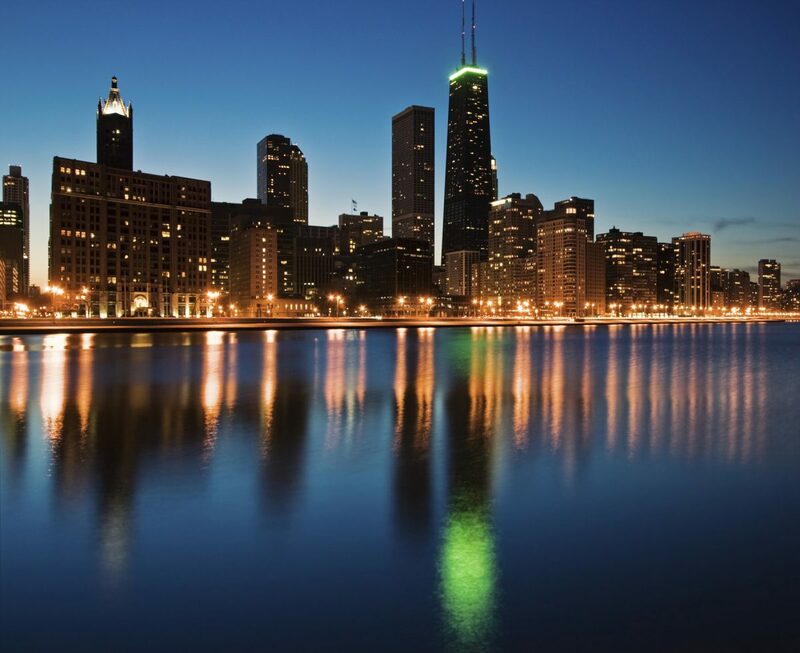 Chicago’s affluent Gold Coast is one of the most upscale neighborhoods in America. You’ve had a lot of success building your business using social media and digital marketing. What’s your approach to it? I use my social media to advertise specific looks. If you’re interested in the look, you can book me on the link in the bio. Everyone does it, so it kind of makes me feel even more like a beauty influencer! So the link in the bio is Booksy. Danyel Nicole makes it easy for clients to see her work—and even easier to book appointments with her. I’ve also been on both Yelp and Groupon for a long time. I don’t want to run a business where I’m constantly discounting my services, but it’s a good way to get people in the front door the first time. What’s great is that you can put your Booksy link in both your Yelp and Groupon profiles and clients can book you directly from either of those sites. I’m also featured on the Booksy Marketplace, which I’m really excited about. How did you find out about Booksy? Booksy was a Godsend. I’ll be quite clear and honest. I was literally sitting here and I was getting a little fed up of people being no-calls, no-shows. That is like the worst thing in our industry. I can’t take it—it’s annoying. I needed a system that would allow me to charge people if they don’t come. To keep people accountable for their appointments and my cancellation policy. 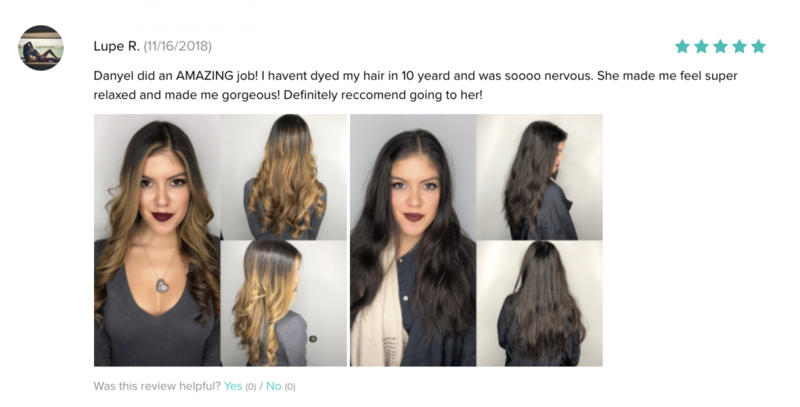 Just then, my phone rang and it was some guy who said, “Hi, I’m calling from Booksy, we’re an online booking company for stylists.” I was like, “God answered my prayers!” So then my sales rep Ashley came out and she’s been absolutely amazing. She’s like a sister of a kindred soul. I swear she is so cool. What was the process like to switch over to Booksy? It was a little frightening because I was booking all my own clients and had been for years. But I was getting to the point where I was too busy. But the team at Booksy helped me through the process every step of the way and it was easy. With a perfect 5-Star review rating, Danyel Nicole is one of the most trusted stylists on the Booksy Marketplace in Chicago. How has it changed you business? I’m able to travel a lot more. Before, it was challenging being on the road and also booking appointments on my phone. I’d be taking calls from airports and it would be hard to hear, or I’d be in a different time zone and it would be hard to connect. I don’t have that issue anymore. I can literally send over the link and clients handle everything themselves. What ambitions do you have with your career? I want my career to be in front of the client. I love doing photoshoots, I love doing movies, I love doing fashion shows, but those things are like fleeting moments in time. They don’t give me the connection that I get with clients. I’d also love to educate other hair stylists on how to be that six-figure stylist. I want to teach others how to really give back to clients, how to deliver luxury, and how to bring integrity back to our industry. Who were the people who taught you about those things? I’m originally from Ohio, and when I got out of hair school, I did an apprenticeship at one of the top salons there. I had a mentor named Michelle. She had this fiery big red hair and she was just this phenomenal colorist. Even though I’ve been doing this for years now, I still have mentors. Chris Appleton is one of them. I love the way he does JLO’s hair, Kim Kardashian’s hair, Chloe’s hair…he’s just absolutely amazing. Mentors like the iconic hairstylist Chris Appleton have helped guide Danyel Nicole’s success. Another mentor of mine, and one of my good friends, is Gregory Russell out in LA. When Kim Kardashian had her first bob, he’s the one who cut it. Continuing education with A-list stylists like Gregory Russell helps Danyel Nicole keep her skills up to date and on trend. How important is continuing education to you? Continuing education is a must. I’m always learning, all the time. There are some online programs that are great, but I really like taking classes offered through the distributors for the treatments I’m currently using. For instance, I’ve taken brazilian blowout classes through Trisola and color classes from Goldwell. I’m starting to teach now, too. In September, I flew out to California to be an educator for Dreamcatcher’s Hair Extensions. Can you tell me about some of the emotional moments you’ve had in your salon? There are a lot of tears that get shed behind my chair. I’ve had clients who thought they could never color their hair or make it pretty again without losing it. When I give them the look they’ve always wanted—and the hair is still on their head when we’re done—they’re just so happy that we’ve both shed some tears. I’ve also had clients who started off with me when they were single, and then I’ve ended up doing their hair and makeup on their wedding day. Having that moment when she’s looking at me and I’m helping her put her dress on, and we both remember when I did her hair just before her first date with the guy…That’s pretty special. Creating real connections with clients goes far beyond just beauty. What’s the most important thing to you as both a stylist and a businesswoman? Integrity. Whether it be in business practices, in my beauty practices, or in life. I’m a firm believer that whatever you put out, you definitely get back. So in everything I do, there is integrity. If you’re in the Business of Beauty, You Need Booksy.